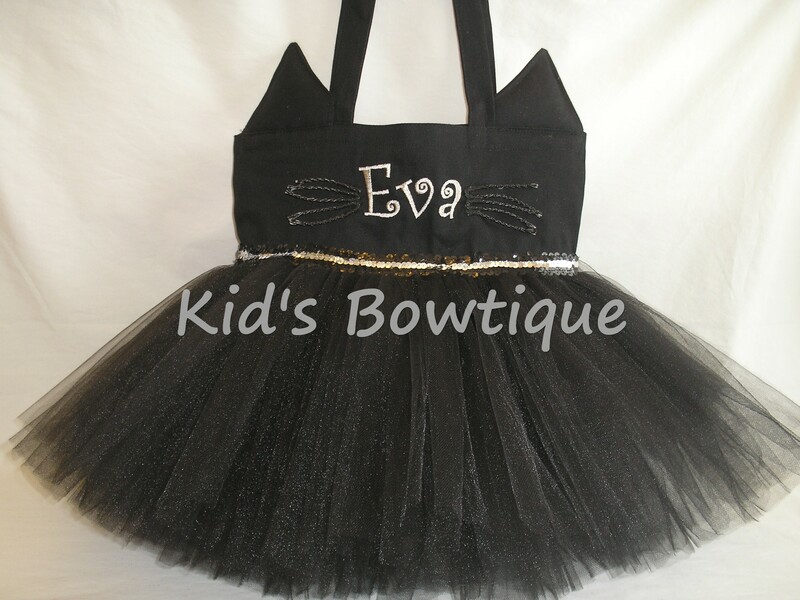 Kid's Bowtique has designed a black cat tutu bag perfect for Halloween trick or treating. This unique tutu tote bag is made of black canvas for durability, an extra full black tutu, and complete with cat ears, whiskers, and of course a tail. This 13X13 size tutu bag is perfect for Halloween trick or treating for a kid or adult black cat or Catwoman!